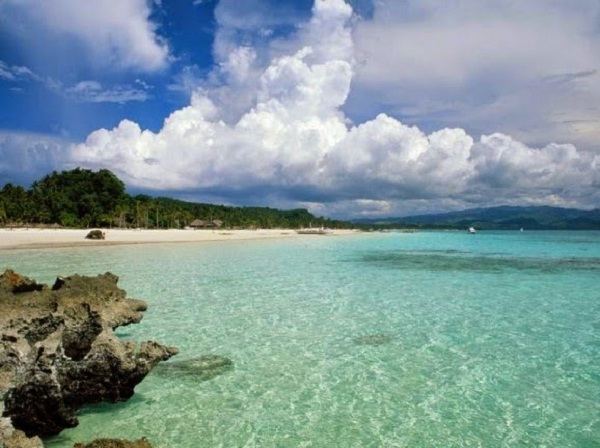 Covering a total area of ​​more than 23 000 kilometers square, Cong Do Island is one of the many exceptional islands in the sea owning fascinating natural salt lake, making it home to a large number of marine life’s species including crab, fish, shrimp, sea jelly, squid and seaweed. Stretching on a total area of 11 square kilometers, from Van Don mountains to Giot Mountain, Quan Lan Island, which is situated within the area of Bai Tu Long Bay, is a perfect place for swimming opportunity. The three beaches of Son Hao Beach, Quan Lan Beach and Minh Chau Beach with white sand and quite pristine beauty compared with other beaches near Halong Bay, are three beaches on this island. 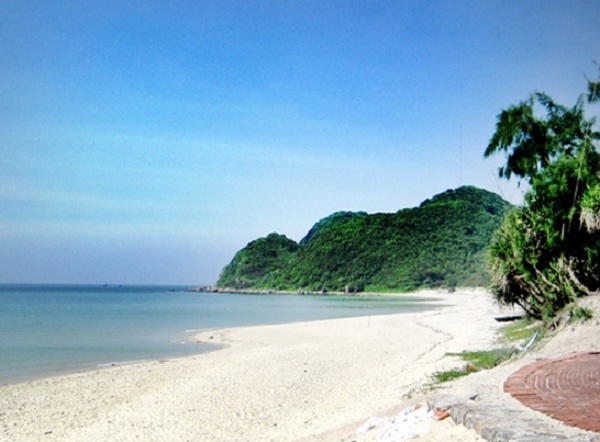 Being closest to the pier, Quan Lan Beach is also the most outstanding of all three. Accommodation facility is gradually emerging in Quan Lan and the plurality remains small hostels or home-stays, due to its remoteness. As they are readily available year round with the price varying from $10-40/room/night, you do not need to book them in advance. Situated a 5-hour drive from Halong Harbor, Ngoc Vung Island is a romantic spot where you can enjoy primitively incredible landscapes with freshest and most stunning seafood of the bay at the most reasonable price. Upon your arrival on the island, you can get on back of a bike in a group of mountain bikes prepared for tourists because the local people do not use car or motorbike. In addition, riding a bike around the island is the best way to admire every single corner of this beautiful island. Not only attracting visitors by the fresh air and clean water, Ngoc Vung beach also appeals them by the fresh, delicious, and surprisingly cheap seafood captured by the local fishermen. Among them, geoduck, lobster and sipunculus nudus are must-try dishes. If you want to get a chance to drive a motor boat, or to know more about the daily life of the local fishermen, Con Do Fishing Village is also an interesting place. 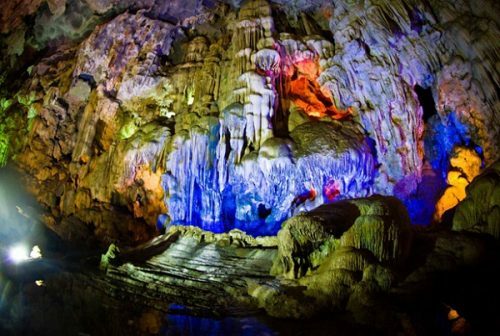 Covering nearly 1900 islets of diverse sizes, some very huge such as Thien Cung Cave or Surprise Cave, others as small as a few meters wide, Halong Bay offers travelers very diverse natural sceneries, varying from long white sandy beach to thousand-year-old-limestone to experience. As you make your way to this natural wonder, do not miss a chance to discover whatever you see. 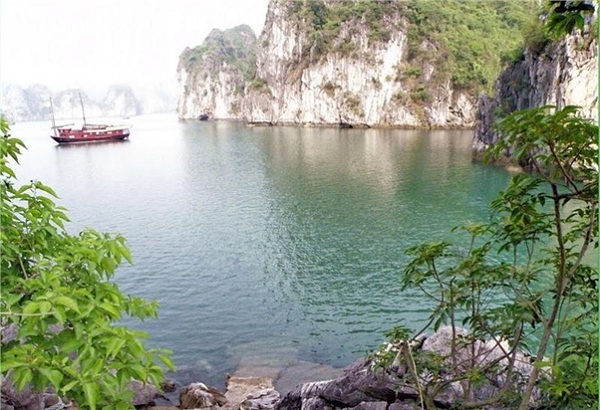 Once coming to Halong Bay, Cong Do Island, Quan Lan Island and Ngoc Vung Island are highly recommended for you to explore.